Potassium is an essential mineral that does wonders for your body if consumed in recommended amounts. You can get all the potassium you need from eating potassium-rich foods or by taking a multivitamin supplement containing potassium to meet your body's daily requirements. Getting plenty of potassium in your diet helps maintain normal blood pressure, which keeps your risk for heart disease in check. Potassium and sodium work together, and a high-potassium diet blunts the effects of sodium on heart health, says the American Academy of Dietetics. Aim to consume at least the adequate intake level (AI) for potassium, which is 4,700 milligrams daily for adult men and women. Potassium works as an electrolyte, transmitting electric impulses throughout your body with other electrolytes (magnesium, calcium, sodium, and chloride) and maintaining proper fluid balance within cells. Having plenty of electrolytes helps keep energy levels high and is a must for proper electrical functioning of your heart, says MedlinePlus. Foods rich in potassium include fruits, veggies, nuts, dairy foods (or soy products), and many meats and fish. So, be sure to include plenty of these foods in your diet daily. Too little, or too much, potassium in your diet can cause irregular heartbeats, says Mayo Clinic. Likewise, Berkeley Wellness says potassium lowers your risk for strokes. Getting plenty of potassium is crucial for proper carbohydrate metabolism, says the Linus Pauling Institute. This happens because potassium reacts with pyruvate kinase, an enzyme that aids in carbohydrate metabolism (obtaining energy from the breakdown of dietary carbs). So, boost your potassium intake if you're not getting in at least 4,700 milligrams daily from foods (or multivitamin supplements). MedlinePlus says potassium is a must for proper muscle growth and protein building. This has to do with potassium's effects on controlling cell membrane function, which is crucial for muscle contraction (as well as heart function and nerve impulse transmission), according to Linus Pauling Institute. So, it may come as no surprise that potassium deficiency can lead to muscle weakness, cramps, and fatigue. The University of Maryland Medical Center says studies show potassium-rich diets may help prevent osteoporosis (bone loss associated with aging). The Academy of Nutrition and Dietetics confirms this. Reduced bone loss from potassium-rich diets may occur because potassium-rich fruits and veggies appear to preserve calcium in bones and reduce acidity, says the Linus Pauling Institute. Many potassium-rich foods, such as vegetables, soy, and dairy foods, are also rich in bone-strengthening calcium. Getting too little potassium in your diet can lead to hypokalemia (low potassium levels), which causes devastating -- even life-threatening -- side effects. For example, the University of Maryland Medical Center says hypokalemia leads to fatigue, muscle cramps, stomach problems, diarrhea, irregular heartbeats, and abnormal heart function, which can be severe and require medical treatment. Dodging kidney stones is another perk of getting just the right amount of potassium daily. Linus Pauling Institute says boosting potassium-rich fruits and veggies helps lower urinary calcium excretion. Likewise, because high urinary calcium boosts your risk for kidney stones, potassium may help spare from unnecessary pain and suffering. Because of potassium's beneficial effects on bone health and muscle development, it plays a crucial role in maintaining normal body growth, according to MedlinePlus. This holds true for normal growth and development in children, as well. 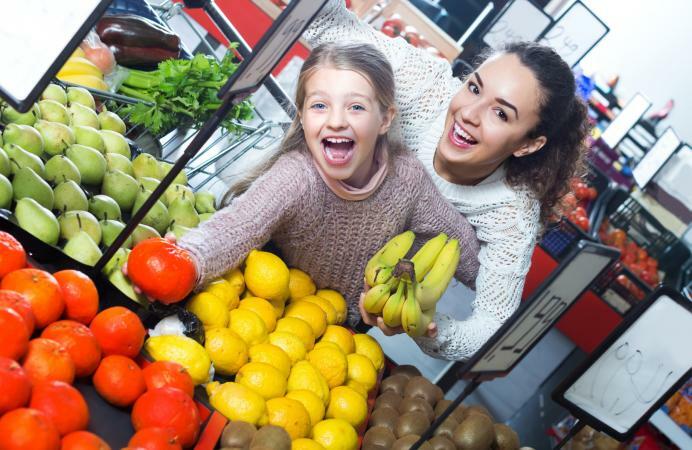 So if you want your kids to thrive, be sure you're offering them a variety of potassium-rich foods regularly. Kids need 3,000 to 4,700 milligrams of potassium daily, depending on their specific age. MedlinePlus says potassium helps maintain your body's acid-base balance, which is crucial for maximizing energy and allowing you to look and feel your best. Linus Pauling Institute says potassium-rich fruits and veggies help create bicarbonate ions in the body, which buffer acids and might help preserve bone calcium (a must for osteoporosis prevention). 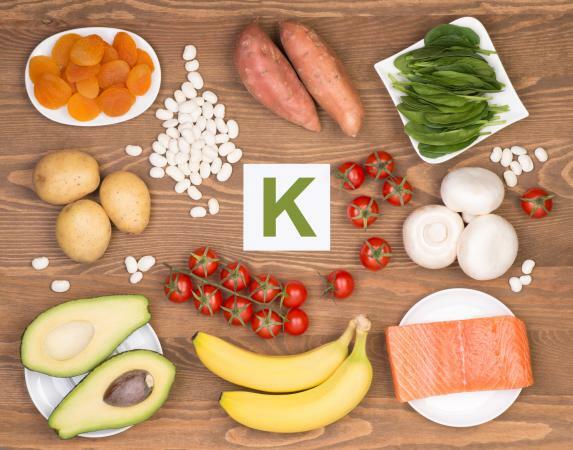 Because your digestive system relies on smooth muscle contraction, potassium plays a role in maintaining proper digestive functioning, says the University of Maryland Medical Center. This explains why getting too little dietary potassium can lead to bloating, constipation, and abdominal pain. Getting too much potassium (hyperkalemia) from supplements can be detrimental and dangerous for your health. Hyperkalemia can be life-threatening, causing muscle weakness, fatigue, nausea, abnormal heart rhythms (which can lead to heart attacks), and even paralysis, says Mayo Clinic. When this happens, immediate medical attention is required. That's why it's important to chat with your doctor before taking mega doses of potassium supplements. Linus Pauling Institute warns to avoid taking oral potassium supplements in doses of 18 grams (or more), as doing so is risk factor for hyperkalemia. Avoid potassium supplements if you have kidney disease. Potassium plays crucial roles in a variety of body functions, which is why getting this essential nutrient in your diet daily is so important. Numerous foods are rich in potassium. However, if you're following a restrictive diet, ask your doctor if potassium supplements are the right fit for you.